Offering you a complete choice of products which include portable oxygen concentrator, single flow oxygen concentrator and double flow oxygen concentrator. We hold the expertise in manufacturing, exporting and wholesaling Portable Oxygen Concentrator. These products are made of high quality materials purchased from genuine vendors in the market. Our firm has featured these with reliable make, indicators to show oxygen level, wheel base, portable size and weight free body. 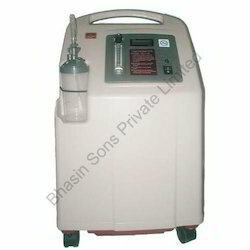 In hospitals and clinics these are widely appreciated for lending continuous flow of oxygen to patients. 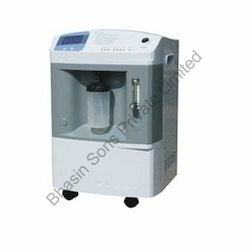 With wide and industrial experience we are able to offer Single Flow Oxygen Concentrator. Our firm uses advanced technologies and machineries for producing these concentrators. These are featured with full anti rust plastic body, portable functionality, long durability, single flow oxygen tube, clear indicators for oxygen supply. 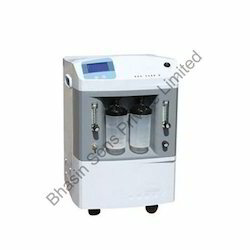 We have designed these concentrators in a way to fulfill all the needs of oxygen to patients. Our organization is involved in manufacturing and exporting a wide range of Double Flow Oxygen Concentrator around the globe. These products are made of high graded raw materials sourced from foremost sellers. All our concentrators are saliently featured with double flow oxygen outlet, movable wheel bottom, light weight body and automatic electric functioning. In all hospitals and clinics this are widely used to supply pure oxygen.